As health officials continued their investigation into what role a bacterial infection may have had in the deaths of nine hospital patients and the infection of 10 others in six Alabama hospitals, one official acknowledged that they may never find out. “We don’t know, and may never know, if the Serratia marcescens bloodstream infection played a role in the deaths of these patients,” Dr. Elizabeth D. Ennis, chief medical officer of the Baptist Health System, said Tuesday in a statement. 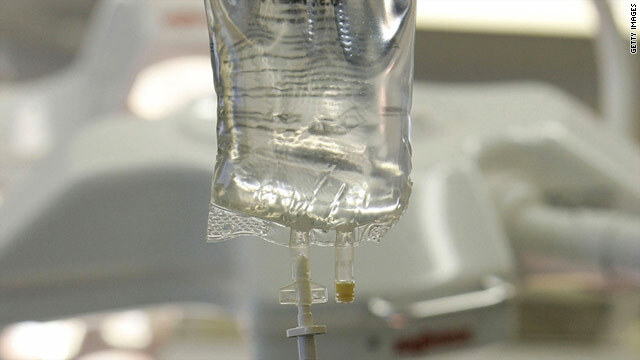 She was referring to the infection caused by rod-shaped bacteria that were discovered in bags used in intravenous feeding — also referred to as total parenteral nutrition. The infection would have entered the bloodstream easily and “with a pretty quick effect in terms of blood pressure and temperature,” said Dr. Donald Williamson of the Alabama Department of Public Health in a conference call Tuesday night with reporters. But the products no longer pose a threat to anyone who has not already been identified, he added. It was not clear how many people in all had been administered the solution, he said. The infected IV bags have been removed from the hospitals and the product has been recalled, he said. The nutrition product, which was recalled last Thursday, was made by Birmingham, Alabama-based Meds IV, which did not respond to phone calls left Tuesday and Wednesday; its website was offline on Wednesday. Of the five patients at Shelby Baptist Medical Center who were infected, two died; of the seven infected at Princeton Baptist Medical Center, four died, Ennis said. Of two cases at Select Specialty Hospital, one died; of three cases at Medical West Hospital, one died; the one case at Baptist Prattville proved fatal, but the one case at Cooper Green Hospital did not die, said Dr. Jim McVay, director of healthy promotion and chronic disease for the Alabama Health Department. Baptist Prattville, 80 miles south of Birmingham, was the sole hospital outside the Birmingham area. The outbreak was identified March 16 when two hospitals reported unusual cases of bacteria among high-risk patients — an outbreak that had begun in late January, according to McVay. Patients who get the product are typically already very sick, McVay said. Williamson praised those involved. “This is actually the way the system should work,” he said. “In this case, a couple of hospitals identified that they were seeing what they perceived to be an unusual number of cases of serratia marcescens bacteremia.